Iran has tried to send satellite space for second time despite the criticism of the US. Pictures of leaving Iran’s space plan have been released from the US but they have not confirmed it immediately. The Colorado State-based company, DigitalGlobe, has released these pictures. The images released on Tuesday indicate that a rocket has been released from Imam Khomeini’s space center in Semnan province of Iran. In the pictures released Wednesday, rocket is going to space, leaving smoke. It was not clear immediately whether the satellite left has reached the satellite or not. 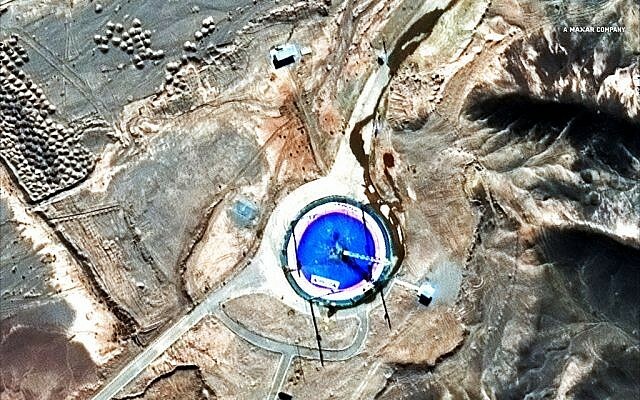 According to DigitalGlobe analysts, Iran has used the Ambassador Rocket to leave the satellite. In January Iranian engineers used “phoenix,” rocket. The Doosti planet has developed Tehran’s University of Technology for Technology Engineers. It was announced to leave at the bottom of the orbit. The US has criticized Iran’s space program and it says that it is helping Iran prepare the preparation of ballistic missiles. He has accused Iran of violating the United Nations Security Council’s resolution. Under this resolution, experiments of ballistic missiles with the ability to carry nuclear weapons to Iran have been banned. However, Iran says it is not the military nature of its rockets’ experiments and space planets and this is not a violation of the UN resolution.